Kitchen! Kitchen! : Don't let Sandy get you down.....at kitchen! kitchen! Don't let Sandy get you down.....at kitchen! kitchen! ﻿﻿ Why let a hurricane get you down. Okay, we had power outage for 5 days. The house was freezing cold, no hot water, and my instant coffee was warmed on a chafing dish with sterno. But, after we got our power back, I refused to let Sandy have the last word. The duck breasts I had at my niece's freezer (powered by a generator) were immediately roasted. 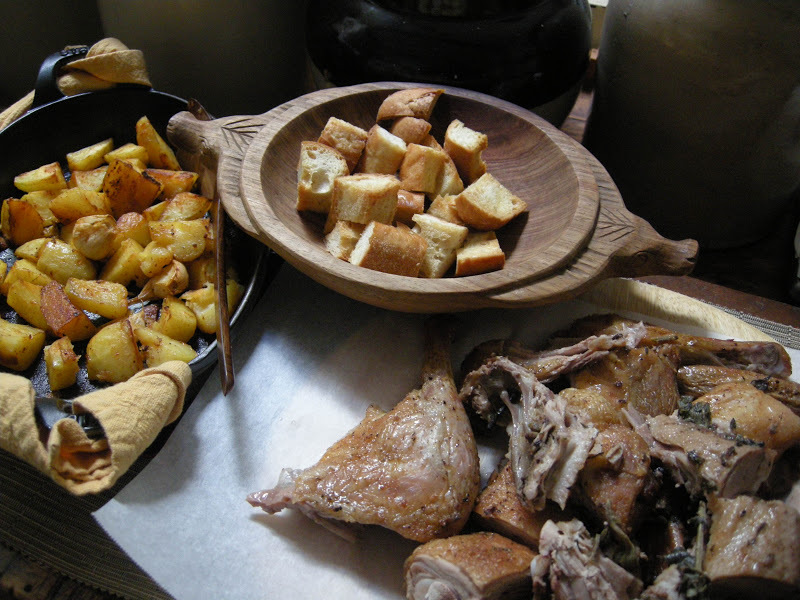 Accompanied with roasted potatoes and garlic, bread crisps, brushed with olive oil and toasted to a golden color in the oven. Wipe generously your non stick oven proofed roaster pan with olive oil. 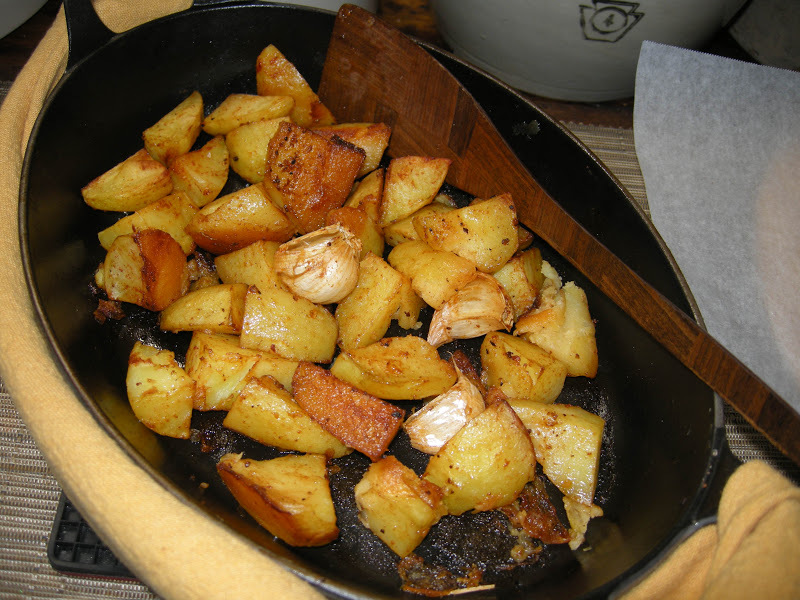 Quarter the the potatoes; add 2 tablespoons of olive oil to the potatoes; add salt, black pepper and a tablespoon of spicy Spanish pimenton powder. Coat the potatoes well with the oil and pimenton. Roast for 40 minutes until golden brown in a 350 preheated oven. Who's the winner now? !